Over the past couple of weeks, I have read many Down Syndrome birth stories. There were stories where moms knew because of prenatal testing, moms that were in shock, there were inspiring stories and heart breaking stories. The truth is none of us know how we are going to react when faced with the reality that your child has been born with Down Syndrome. For me – Boston’s “birth day” did not bring the diagnosis. Boston came early – 10 weeks early. 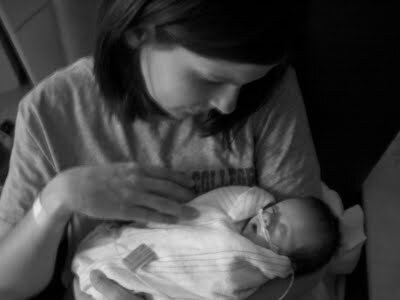 He weighed only 2.3 lbs and was fighting for his life – Down Syndrome was not even in our minds. I remember when he was born and struggling – I thought for sure he had Rett Syndrome too (like Brooklyn) – words that I did not speak from my lips (nor did anyone speak them to me) it was if I said those words it would become true. It was not until he was seven weeks old that we were given the Down Syndrome diagnosis. I think it was a mixture of emotions for me. 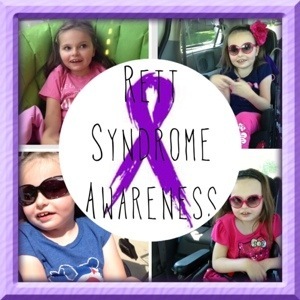 It was a THANK GOODNESS it is not Rett Syndrome. To a no no no no no this can’t be happening – another diagnosis. WHY? Why me? Why my kids? (again – not my finest moment.) But I was mad. I was sad. In that moment I could not focus on the love, inspiration, and endless source of healing giggles that this little boy would bring to me. In that moment…..life was just….NOT FAIR. I can still picture walking back into his room and my dad sitting in the recliner holding Boston close to him. (He was trying to be strong for me – I know that now. But I saw his tears that day too.) I think that with my parents it is double the hurt. They ache for their grandchildren and what might have been along with watching me, THEIR CHILD struggle with this life altering news. As I walked in that room, seeing my dad holding him, rocking him, loving him – it was a beautiful reminder that NOTHING had changed in the way we love this little angel. We had indeed been “re-routed” a little with our plans – there would for sure be changes to come in life, but the amount of love surrounding this child….well, no diagnosis would change that. Actually, if it is possible – I fell in love a little bit more with Boston that afternoon! This year, in honor of World Down Syndrome Day, I want to thank all of you that have been a part of this journey with me….who honor the awesomeness of my son today and EVERYday! That’s what I love most about you – you are REAL! While we don’t know how we’d react, I think it’s safe to say you will be mad/sad in that moment. It’s the moments that follow that define who you are – and you are a wonderful and loving person. You are the prime example of life handing you lemons and you make lemonade with it. It’s uplifting and wonder to see. : ) Take care! As always, honest words about what you feel, both good and bad, your children are truly lucky to have such a wonderful mom! Your children are very blessed to have an awesome mommy like you! I know it is not the same but I will admit the day we got the news that our son Cayne was Cognitive my world crashed. I mean I didn’t know what that meant. Then they told me the other term “mentally retarded.” I was even more crushed then not for having a child with that but for believing that I did something wrong during my pregnancy to make him so different. But as time went on I realized that he was even more special then kids with no problems. He has taught me the value of patience an I love him even more for that. I finally realized that I never did anything wrong an that he was Gods plan for me. They say that parents teach their kids so much and I hope I do teach my kids stuff. But Cayne has taught me more I believe. I am just so blessed to have him in my life cuz without him and the class he is in I probably never would have met anyone as awesome as you are Kelly! Your family means a lot or us an I just hope that you know how much. You are a true Angel! Kelly, a beautiful, well written and most of all honest post! Thank you for sharing your story with us. Isn’t it amazing the emotions and thoughts that run through our heads when we receive medical diagnoses? No one reacts the same and no reaction is “wrong”. Again, beautifully written. ( my god daughter) and the vivacious Indiana 5 years old. It is so true you don’t know how you are going to react! Molly was diagnosed with Rett syndrome and the neurologist said well you know the next one will be fine because Rett is not genetic. 6 weeks later handsome Jayden was born with Down Syndrome. well did that neurologist get a surprise phone call :) for a few hours there was the thought of i can’t do this we can’t take him home (the shock of having two diagnosis in a 6 week time frame) how much joy and laughter his antics have created over the years!! Molly’s eyes light up when ever he walks in the room. he adores his big sister and will always try to cheer her up if she is feeling sad. So today we celebrate you Jayden :) the awesome, fun loving young man that you are!! !